Northern Irish DUP lawmaker warns that the United Kingdom is looking unlikely to reach an exit deal with the European Union by the March 2019 deadline in comments that send the Pound Sterling tumbling. 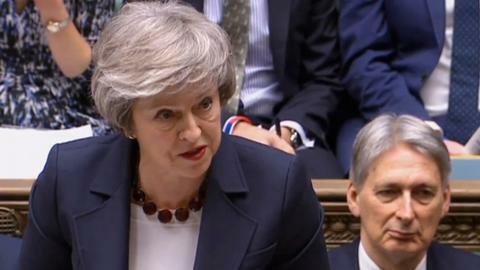 The United Kingdom is heading towards leaving the European Union without a divorce deal, a senior member of the Northern Irish party which props up Prime Minister Theresa May's government said on Tuesday. Sterling fell to a day's low against the dollar of $1.3020 and British government bond futures rose to a session high on the news. "Looks like we're heading for no deal," Jeffrey Donaldson, one of 10 Democratic Unionist Party (DUP) lawmakers whose support May currently needs to get any deal passed in the British parliament, said on Twitter. 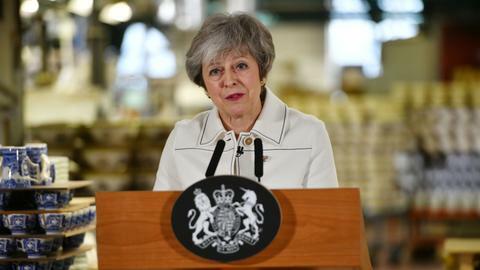 Many business chiefs and investors fear politics could scupper a deal, thrusting both the EU and the United Kingdom into a "no-deal" Brexit that they say would weaken the West, panic financial markets and block the arteries of trade. British trade minister Liam Fox said on Tuesday it was "impossible" say if a Brexit deal could be reached with the EU this month or next, but that Britain wanted an agreement, and a deal is better than no deal. Negotiators are trying to find an emergency Irish border fix that would satisfy Ireland, the Democratic Unionist Party and May's divided Conservative Party. The DUP's refusal to sign off on an initial deal on the border caused the temporary collapse of the talks at a crucial stage last December, before negotiators found a way to keep all sides on board and allow talks to move forward. An open frontier is seen as crucial to not disturbing the 1998 Good Friday peace accord that ended decades of sectarian bloodshed in Northern Ireland. The backstop arrangement is intended to ensure a solution to the problem if no other solution is found. London wants the backstop to be provisional rather than permanent, but the EU has resisted any suggestion that it could expire. The DUP's Donaldson, whose party has constantly criticised Dublin's approach, said a no-deal Brexit would have serious consequences for Ireland's economy and he "can't understand why Irish Government seems so intent on this course." Irish Foreign Minister Simon Coveney spoke last month of "carnage" if Britain crashed out without a deal, though he said that would mostly be felt by the United Kingdom, with Ireland likely to benefit from "huge solidarity" from fellow EU member states. Ireland's Central Bank has forecast that if Brexit were to leave the trade between Britain and Ireland governed by World Trade Organisation rules for countries with no bilateral deals, Ireland's gross domestic product (GDP) would be 2.9 percent lower in the long run. However the Irish economy would approach such a scenario from a strong position, having grown faster that any other in the EU for the past four years and with the central bank expecting GDP to expand by a further 6.7 percent this year.